Having launched the new, secure and responsive website late last year, we are now focused on bringing you more articles about the wonderful world of the Wagner Tuba. One idea we are pursuing is the compilation and publication of a series of Wagner Tuba Player interviews. 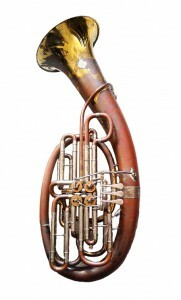 It is clear from the emails we receive that there are many Wagner Tuba players around the world, each with a different story about what the Wagner Tuba means to them. So we thought it only fair to offer the opportunity for those stories to be shared with a worldwide audience. The offer is open to players of all levels, student, amateur or professional. It doesn’t matter as long as you have a genuine passion for the instrument. So if you love to play the Wagner Tuba and would like to be considered for inclusion click here to send us your information.